How do I access my files on web drive? A new version of web drive will be available soon. 1. First you will need to download and install a ftp client onto your computer. 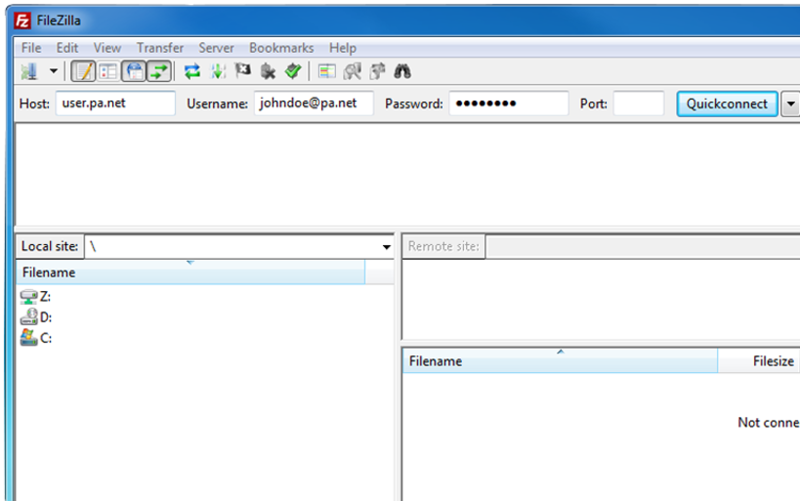 Here is the link to the client that we use: FileZilla. 2. Once your Ftp client has been installed onto your computer you will need to open it. 3. After your ftp client has been opened. Enter the following criteria into their appropriate fields and then click on Connect. For filezilla you would click on "Quickconnect."